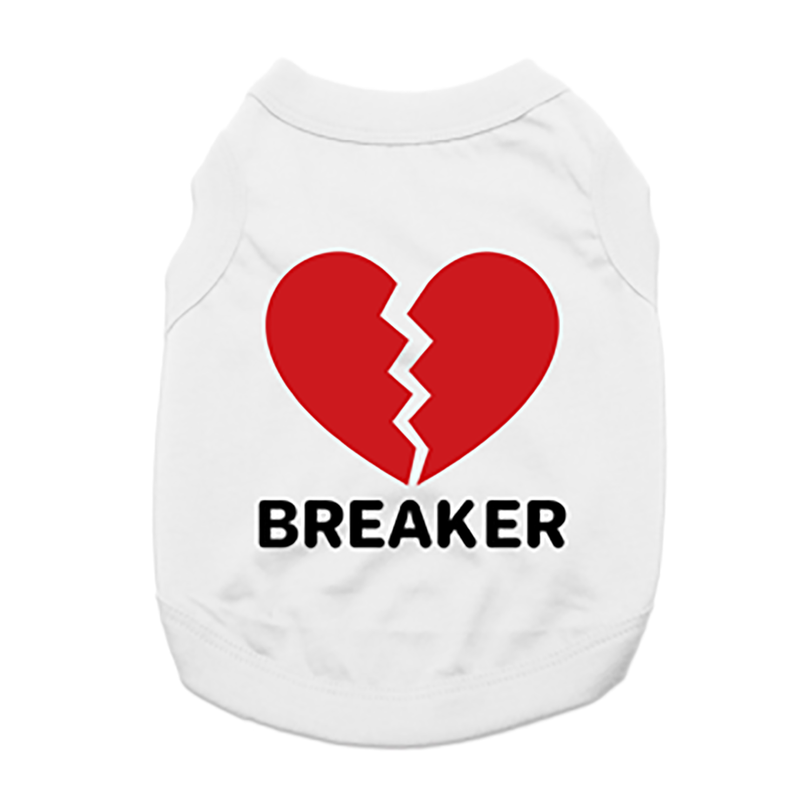 Show off your adorable little one this Valentine's Day or any day with the Heartbreaker Dog Shirt in White! The Heartbreaker Dog Shirt shows off your dog's charisma. This dog tank features a high-cut, stay-dry belly for the ultimate in comfort and convenience. The breathable soft knit is made of 100% cotton. Machine wash cold and dry flat for best results. Great for Valentine's gift and every day! Heartbreaker Dog Shirt - White Customer Photos - Send us your photo! Hes name is Tank, he is a 6 year old pit mix at the shelter I volunteer at, Hempstead Town Animal Shelter in Wantagh NY. Hes such a sweetie and big mush, everybody loves him so i had to buy this shirt for him. Posted On 02/25/18 by kathleen w from Winter Haven, FL Yes, kathleen w recommends this product! I bought this for my Grand dog Bamboo. My son and his wife are waiting to put it on him. They will wait till it gets warmer in the spring. I've bought all of his clothes from Baxterboo and I know it will look great! I love the way my little puppy looks in this shirt. I got the medium which fits him perfectly, I could of went with a large but I figured it would be a little big. It's the perfect T-shirt for Valentine's Day. Posted On 04/10/17 by Jennifer M from Rogers, AR Yes, Jennifer M recommends this product! My girl is no doubt a heartbreaker so this tee is absolutely perfect!!! Posted On 02/21/17 by vicki a from Plano, TX Yes, vicki a recommends this product! I have 2 shihtzus...boys and they love their shirts.They feel more secure with them and love me to fuss over them. Posted On 02/12/17 by Kasandra L from , Yes, Kasandra L recommends this product! The material isn't the best, but it is true to size. You can't expect too much for the great price! Got "kind of" for Valentine's Day - but will work for every day. He is definitely a "chick magnet"!! Posted On 02/02/17 by lynne s from East Moriches, NY Yes, lynne s recommends this product! I was not happy with this cute shirt ?? The material was so thin you could see through it. For the price it should have been a better material. It was so cute but looked so cheap. Posted On 01/12/17 by Marsha P from Belle Rose , LA Yes, Marsha P recommends this product! 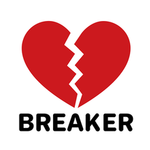 Heart Breaker Shirt is too cute!